I thought it was time to pass along kudos to you guys for getting me back out on the road so quickly on several occasions! Your ART and shockwave treatments have been my saving grace to keep me pounding the pavement. I first started running in April 2010 and since my first visit to you in the summer of 2010 you two have treated me for several injuries including hamstrings (twice); an Achilles; plantar faciitis and most recently my ankle. I have been to see you guys many other times for many minor issues. 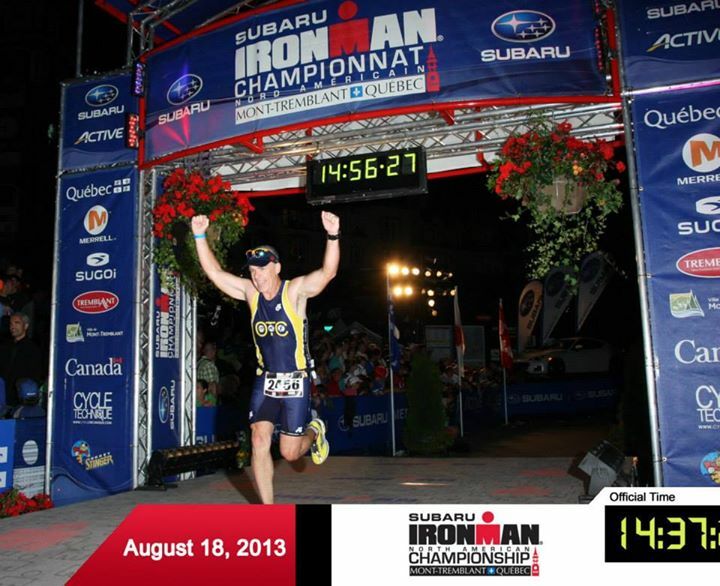 Preventative treatments helped me complete my first Ironman, this past August, injury free! There are a couple of great things that I really appreciate about your clinic and would like to emphasize here. First, I was drawn back to your clinic over and over again because of the obvious knowledge and experience you two have shown when treating me. You two are confident in your assessments and treatments and that confidence is backed up with amazing success in my recovery of each injury that you two have treated me for. The fact that you two are both experienced triathletes having completed Ironmans and countless other types of races certainly makes me feel like you “really do” understand me when I explain something to you. The second thing I would like to point out is the amazing success I have had with shockwave treatment. In particular, my plantar’s faciitis flared up big time during the May 2012 Ottawa Marathon. With only four weeks until my first ultra-marathon, three shockwave treatments and some ART got me to both the start and finish lines of the Ultra injury free. I have recommended many people to your clinic and will continue to do so. You two are awesome!